The usual question to start with - what comes into your mind when you hear Romania? Dracula? Transylvania? Usually not really much more, right? I can asure you that this country is way much more than that! Romania is a beautiful country that genuinely has a lot to offer. And I mean really a lot. I've visited it many times, spent there 2 months volunteering and traveling, but I'm still not even close to "I've seen everything I wanted." I always love to come back for a total escape and brain refreshment. It's actually true that Romania doesn't really rank among the most visited countries and you don't really hear about it much, perhaps also because of basically non-existing promotion from any travel & tourism related institutions. On the other hand though, few tourists, diverse nature, plenty of forgotten places and plentiful wildlife only help to make this country so special. In my opininon, Romania is absolutely the most beautiful country in Europe. You can find here really any kinds of natural wonders - hills, mountains, lakes, valleys, rocks, caves and even a sea or volcanoes! There is absolutely no chance you would get bored when traveling through Romania as there is always something new to expect behind each curve. If you are a nature lover, you should put it on the top of your list. I can guarentee that you won't regret. I've run into a few blogs and websites where Romanian railways were mentioned as something positive. I guess the people who wrote that have never traveled in Romania by train, and probably just took over the information from someone who had never used a train there, either. I even saw that on websites like Lonely Planet, Trip Advisor etc. The truth is, however, that the transportation in Romania is pretty bad in general, but the Romanian railways are surely one of the worst in Europe. My first golden advice is - avoid trains as much as possible. While I agree that the main cities are somehow interconnected through the rail network, any other places are often very difficult, and in many cases even impossible, to reach by train. 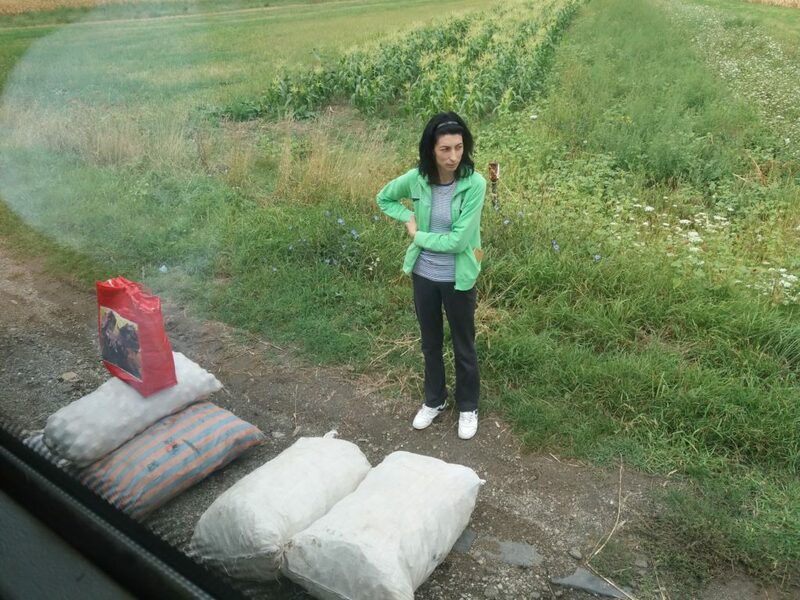 But even the main routes are very slow and traveling in Romania by train really takes ages. I did it once, only once - I took a train from Brasov and Sighișoara which lie on the main train line Bucharest-Budapest so you take the "fastest" Eurocity train you can. These 100 km took 2,5 h with an average speed of 40 km/h. I think it speaks for itself. Trains in Romania are really slow, pretty low quality, with no A/C (in summer you actually get sauna for free), they usually go only a few times per day, and in fact quite expensive. Considering the size of the country, as a matter of fact, Romania has one of the poorest rail network coverage in the world, and there are just so many places you would love to visit, but you have no idea how to reach them. Frankly speaking, traveling by buses is not impressive either, but it's definitely better. And I could actually see that some things had improved last time I visited it. The main routes are covered relatively well, usually with a couple of connections per day, and in general buses are pretty cheap. To find a bus connection, check the website Autogari.ro, unlike the transportation as such, the website is quite reliable. Not as perfect as you know from Western countries, yet still the most convenient means of transport is a car. And also because everyone here knows that the public transportation in Romania is not good, any kind of carpooling in Romania works just great! 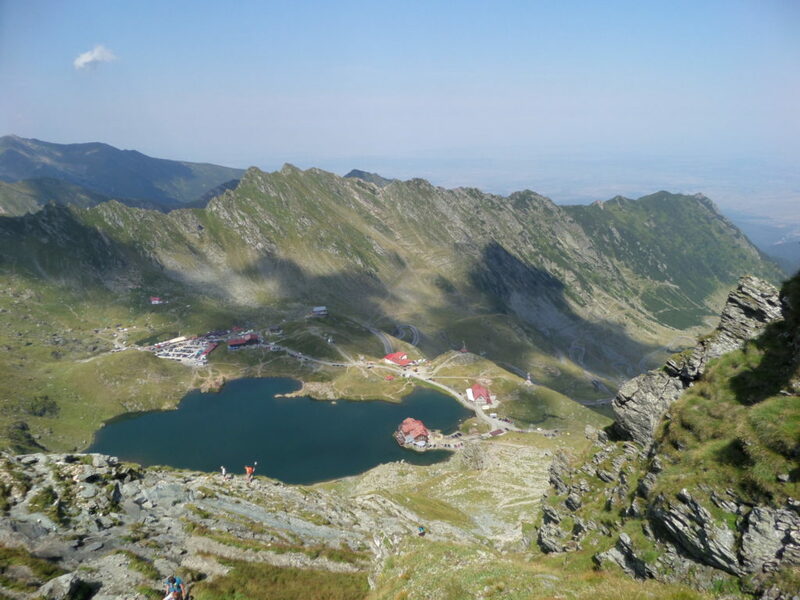 If you leave out your prejudices, Romania is one of the best countries for hitch-hiking. Everyone does that. Literally everyone. So the drivers are willing to stop. Although I had also heard lots of prejudices before I came to Romania and was afraid a bit, I find hitch-hiking in Romania pretty safe. It's true that people look often very serious, but they are used to take hitch-hikers. Sometimes (very often) you just don't have a different option anyway. If you are, nevertheless, still afraid of hitch-hiking, Blablacar works well here too. You can find there many rides shared everyday. It's good to know, however, that in Romania it's normal to pay for a lift. I was told that also by the locals, but out of the 3,000 km I hitch-hiked through Romania, I was asked to pay only once. I think that many people when they see you are a foreign traveler they just wanted to do a good deed and don't want the money for that. It is always good to ask before you get in the car, though. Traveling in Romania may take really long, you always have to count with more time. But that's the part of the adventure! As already mentioned above, Romania is actually pretty famous for being the country with the highest number of brown bears. Bears are shy, I've been there many times but still haven't seen one, but the chance you run into a bear still remains quite high. 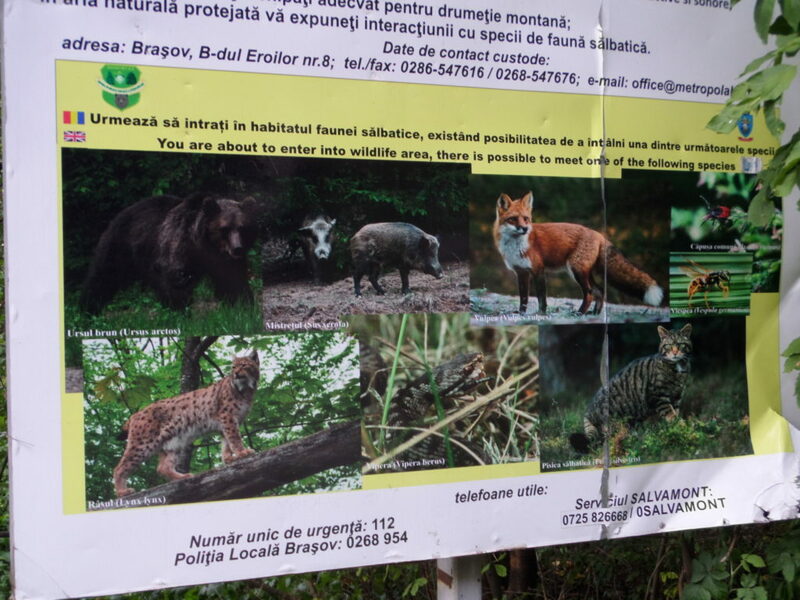 And not only bears, Romanian nature is a place with a pretty great wildlife so while hiking you may actually also bump into wild animals that you may never run into before. And that's why it's so lovely! And...dogs. There are many wild, homeless dogs around Romania, and I personally think the dogs may be more dangerous than any of those forest, "wild" animals. In fact, neither of the wild animals really look searching for a human companion, but random, sad, hungry dogs with rabies are definitely not the nicest thing you can encounter. Locals say they are not usually dangerous because they are used to people, but I don't know....better to be aware of them. There are certain rules and steps you should follow when you happened to be acompanied by a bear, as well as there is a certain way you should behave towards wild dogs, but about that later on my blog. 3. In most of Transylvania it is spoken Hungarian! This is something not so many people know. Even though Romanian is the only official language in Romania, in some regions it may be much easier to communicate in Hungarian. Not that it would make your visit any better, unless you are Hungarian, but you never know. Most of the area of Transylvania, the parts which used to be Hungary until the Treaty of Trianon in 1920, is still inhabited by Hungarians or people of the Hungarian origin. The Hungarian minority consists of over 1 mil. people, making up 6.1 % of population. Therefore, in places such as Cluj (Kolozsvár), Târgu Mureș (Marosvásárhely), Gheorgheni (Gyergyószentmiklós), Oradea (Nagyvárád) etc. you will rather hear Hungarian, as well as the names will always be translated into Hungarian. 4. Don't underestimate the Carpathian Mountains! Seriously! Believe it or not, I did that. First time I came to Romania, I went hiking in the Piatra Cralului, and I wasn't well prepared. It was a big lesson I learnt. I'm used to hiking, I do that a lot also in the Czech Republic, but somehow I didn't realize that walking in 1,300 m a.s.l. on a nice, "relaxing" trail through a forest is not the same as climbing 2,500 m on the rocks with chains and ladders. Yet, I was too lazy to take with me hiking boots as they were heavy and capacious to carry them to the plane. But that was the mistake I wouldn't do again. I have a story how I got into a storm on the peak. That was the first time (and the only time) I almost peed my pants. At this elevation there are basically only rocks (sometimes very sharp) and cliffs with just occasional bushes, but there are basically no trees at all, so if you happen to be in a storm...well, may God, Universe, luck, or whatever you believe in stays with you, because there's not many possibilities to hide. And the weather in the mountains changes super fast. I don't want to repel anyone from hiking, it's not that crazy (and also adventurous), but underestimating it may be really dangerous and you do have to be prepared. So proper, waterproof hiking boots and raincoat are a must! If you plan to take the hardest, long trail, take a flashlight, ideally also a helmet, and, even though I went there just by myself, I strongly recommend you not to climb there alone. I happened to be in a few very empty places, if something had happened there,.....But the Carpathian Mountains are awesome and absolutely worth it!